One other thing that you really can do that helps law enforcement and will help you in your insurance claim, should you fall victim to burglary. You've spent a lot of time and effort putting nice televisions, stereos, personal belongings in your home. Most of those have manufactures, model numbers and serial numbers. So my recommendation is create you a chart where you can write down the items. 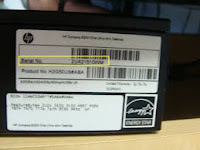 Write down the manufacturer, the model number, the serial number and how much you paid for it. Get yourself an established value. 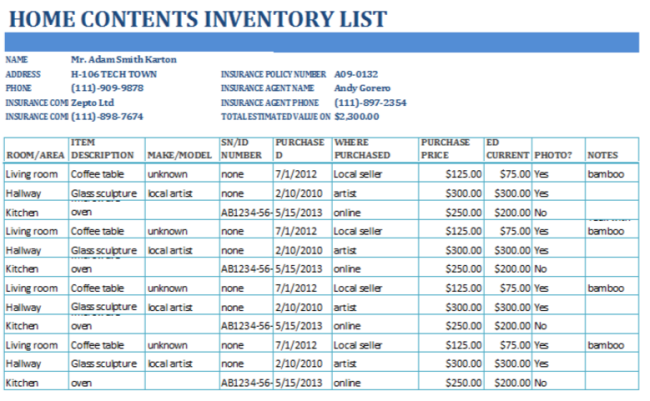 Inventory everything because you never know what your insurance company may ask you for when you're filing for a loss. Once you've created that spread sheet take that next step and print it out and secure it somewhere else. There's nothing more disheartening than to realize you've taken all the time to make the spreadsheet and it’s in your computer and that was the item that was stolen. So always having a hard copy is a good thing. It will sure make your job a lot easier, it will make law enforcement's ability to recover stolen items a lot better if they have models and serial numbers and values.